In 2014, a coalition of government and nongovernment agencies set a goal to house 500 individuals and families in three years. 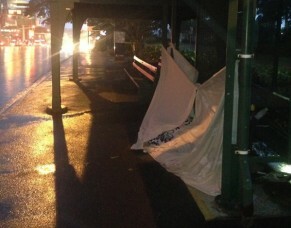 The campaign began with a community-wide registry where local agencies and volunteers surveyed 961 families, young people and adults in the Brisbane Local Government area who were homeless or vulnerably housed. Since then, a further 1,733 people have been registered through the campaign. Three years on, the campaign has exceeded its goal by housing 580 individual and family households. The community has applied Housing First principles to assist 373 individuals and 207 families with 430 children to end their homelessness. Thank you to all the volunteers, supporters and donors who have committed their time and resources to ending homelessness in Brisbane one person, one family at a time. To support the campaign please click here to donate. Red Cross Young Centre: Red Cross Young Centre and Night Cafe having some fun with the water bottles we give to people surveyed during Registry Fortnight. 01/08/1432 individuals and 17 families successfully housed since March!